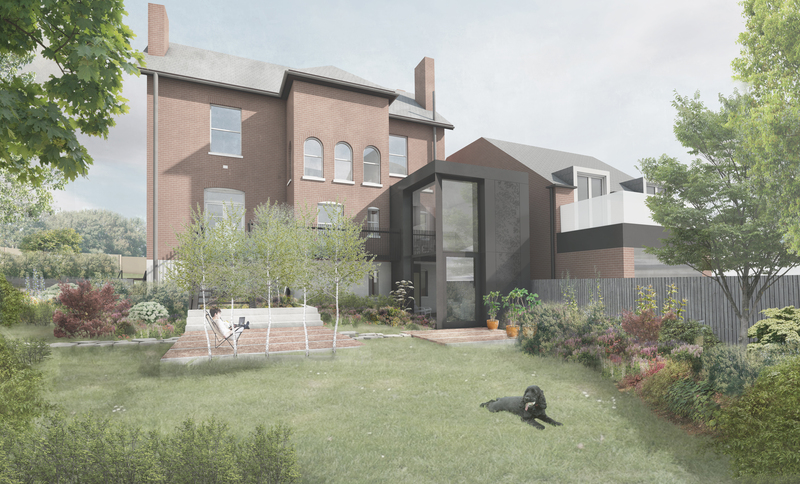 This small scale intervention links the family living areas located on a ‘piano noble’ in a traditional Victorian villa to the garden through a double height kitchen extension and snug. The extension is clad in dark grey anodised aluminium panels which mimic the zinc work on this and the neighbouring properties to provide a sense of homogeneity. A large double height glazed corner window focuses the internal views on the remodelled rear garden.